In the twilight years of Eastern Jin, Liu Yu usurps the throne to become the founding emperor of the Liu Song dynasty. Consort Ye’s newborn son is the only royalty to survive the bloody purge, and is adopted by the Imperial Secretariat Fan Jian. At the age of eighteen, Fan Xian’s impending political marriage with a princess makes him extremely popular among the ambitious princes, though he is carefully avoids joining any of the factions. Fan Xian is lauded for his loyalty to the emperor during two successive rebellions, though later discovers he is the biological son of the tyrannical ruler, and that Liu Yu was the one that sent assassins to kill his mother. For revenge as well as the peace of the kingdom, Fan Xian engages in a deadly political struggle with the emperor, and eventually succeeds in forcing Liu Yu to abdicate. I’m hoping this drama will be able to stand out from the crowd when it airs, and breathe some fresh air into a drama landscape dominated by female-centric period dramas. 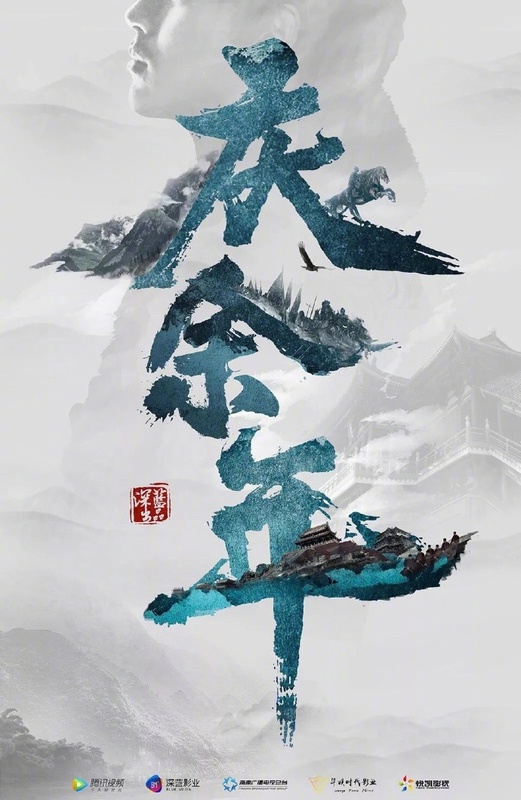 The 50 episode series is directed by Sun Hao (Bad Guys Must Die) and written by Wang Juan (Legend of Southwest Dance and Music, Turbulence of the Mu Clan). This entry was posted in Drama, Mainland China and tagged Joy of Life, Qing Yu Nian, Thankful for the Remaining Years, Zhang Ruoyun by XDramasX. Bookmark the permalink. Both of the scripts listed by Wang Juan are amazing, and I’ve heard good things about the original. I’m kind of annoyed at how all the new “big production” actors seem to have strong backing, though. I feel like there’s less chance than in the past for a young actor who isn’t aggressively pushed by their company (or in this case, their dad). Woah is Zhang Ruoyun’s dad someone important? I didn’t know that, I assumed he was just from a normal family. His dad owns the company that produced at least three of his dramas – Black Fox, Snow Leopard, and The Fated General. 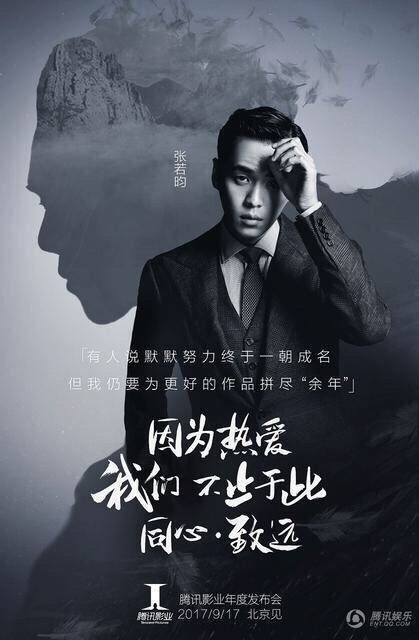 His dad also owns several major filming sites, including a new ambitious filming location that is suppose to be bigger than Hengdian, and where this drama will be filmed at. Does it matter that his dad has money?? Just remember it’s Zhang Ruoyun that is out there in front of that camera. Seems to me he’s doing a great job..If he wasn’t good no one would watch him no matter how much his daddy has.